... so did you miss me? We arrived home late yesterday after a long weekend across the ditch in Brisbane, Australia. Oh how much I enjoyed wearing shorts and t-shirts for a few days ... a small reminder that summer will be here ... soon, but wish it would hurry up already - hahaha! 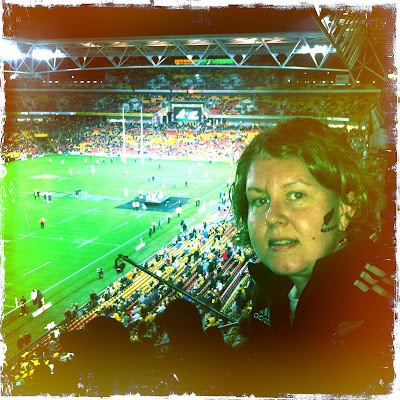 Was hubby's birthday on Saturday, and what a birthday present ... tickets to the Bledisloe Cup game. Pity the All Blacks had to let the party down with the loss to the Wallabies - let's just hope that we don't let the next piece of silverware slip through our fingers! fab-u-lous photo ... love it!!! !